Broward County Library and Broward County Public Schools Partner to Deliver Educational Resources and E-Books! It is finally here! The much anticipated partnership between the Broward County Library and Broward County Public Schools. What does this mean? It means that Broward County Public School students, who have parental permission to opt-in, will have access to a wealth of digital resources that can be accessed anytime. Students will benefit from the variety of digital resources available through the public library. The digital resources consist of several online databases, homework assistance, access to the resources at the Nova Southeastern digital Library This partnership is a wonderful opportunity to support personalized learning for our students. Students will also have access to the many E-books using Axis360. The E-books can be read on a computer or any device using the Axis360 app. Now students have access to current books anytime anywhere. Broward students are readers and readers are leaders! Reading Across Broward is the Superintendent's long-standing Reading Motivation Program. This program encourages independent leisure reading for all K-12 students. Elementary students have the option of completing a paper reading log or using the District's latest application, Beanstack to track their reading. Students earn certificates for the number of books read from April 1st to March 31st. The Florida Association for Media in Education (FAME) is the state organization for Media Specialists. The FAME Committees create lists of the best books selected by a committee of media specialists from across the state and voted online by Florida students. The winning author is celebrated at the annual FAME state conference. 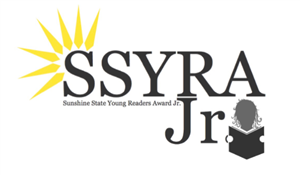 The lists are the Sunshine State Young Reader Awards for elementary and middle. The high school list is the Florida Teens Read. 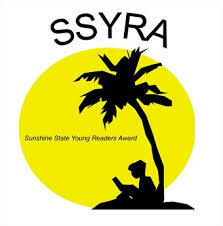 The Flordia Reading Association also provides an annual list for elementary. Find out more from your school's media specialists.